Welcome to Harbourside Area ! Harbourside Area primarily covers the Halifax Regional Municipality: peninsula and west, as far as St. Margaret's Bay. The area is managed by a group of dedicated volunteers who provide programming for girls and adult leadership and training opportunities. The District Commissioner is the link between Area Council and the Guiding Community. She works in partnership with the District Council to champion the Vision, Mission and Values of Girl Guides of Canada-Guides du Canada (GGC), while acting in the best interest of Girl Guides Canada - Guides du Canada, respecting the confidential nature of the work. Please contact Libby at Harbourside AC for more info. The Area Treasurer works with the Area Commissioner and the Provincial Treasurer to manage the Area Council’s financial resources on behalf of Girl Guides of Canada. Please contact Libby at Harbourside AC for more info. 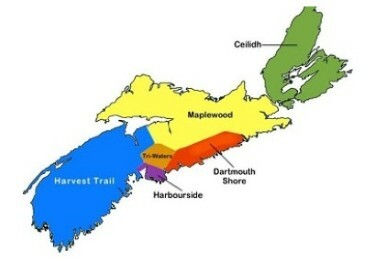 Term of Office for the current Area Commissioner is coming to an end in May 2019, NS is seeking an Area Commissioner for Harbourside Area. If you feel you can provide responsible leadership and a strong sense of teamwork, communicate in an open, positive, clear, timely and effective manner, support the Area Council members through recognition, mentoring and coaching, promote Guiding, encourage sharing of responsibilities and decision-making, manage the administrative requirements of meetings and GGC policies for risk management and financial procedures, and actively participate on Provincial Council both as the voice of your area and with a commitment to the best interests of Guiding in Nova Scotia, then we need to hear from you.
" HARBOURSIDE AREA SCHOLARSHIP "